mrshomer09 has no other items for sale. 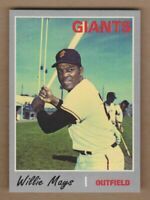 1997 Topps #579 WILLIE MAYS 1961 Reprint #15 San Francisco Giants Nice ! 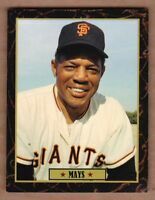 1997 Topps #194 WILLIE MAYS 1955 Reprint #7 New York Giants Nice ! Free shipping on orders of 15 or more eligible items from mrshomer09. $0.25 shipping for each additional eligible item you buy from mrshomer09. Buy 15 or more auctions and get free shipping.